tl;dr Consumption will be digital and mobile. Industry has to adapt to business models that support this change. Today, TV is changing radically down to what the word even means. This week in the US, the FCC is voting on net neutrality rules affecting the future of digital video. At the same time, the medium is changing in short form, changing windows, and the rise of mobility. Consumption of media is changing. The average American adult spends 11 hours per day with electronic media. The top two forms are still TV and radio. We spend a full five hours and 16 minutes a day in front of a screen, and that’s without even turning on a television. Adults are watching their televisions slightly less—with a daily intake of four hours and 31 minutes this year, seven minutes less than in 2012. The traditional subscribers of TV through cable, satellite and fiber fell by 250K in 2013 as reported by Bloomberg. Ad spending on TV in the US grew only 3% last year. The average price of a 30-second ad is down 12% since 2009. Channels have responded by running more ads (14:15 per hour on broadcast TV and 15:38 on cable). There is a limit to how many ads a channel can stuff in. 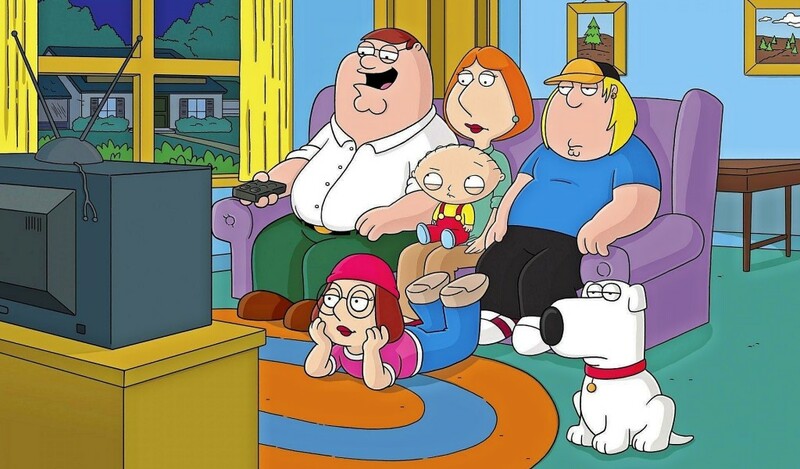 While the average American household now now gets 189 cable TV channels, they watch only 17. In response to this change in consumption, the business of video is changing. 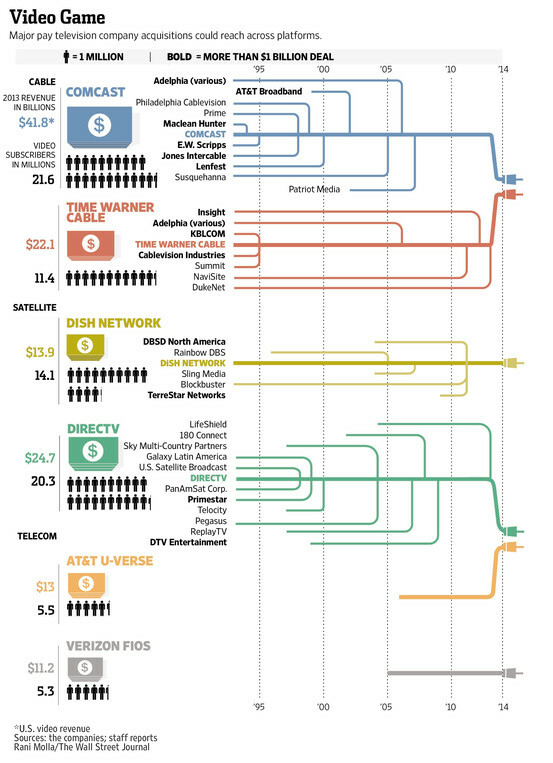 Existing cable networks have seen dramatic consolidation as evidences by this fantastic WSJ graphic. Digital video is the disruption that has been a long time coming. Here are a couple of ways to look at it. For ad dollars, digital video is a small fraction at $4B growing 40% yoy vs $66B on TV. This is complicated by worries about the effectiveness of the format with reports that up to half of video ads are not viewed. In terms of time spent, digital media (total internet usage) broadly over took TV in 2013 with 43% of time spent vs 37% on TV. Netflix is the largest digital video stream, accounting for 32% of peak Internet traffic. YouTube at over 1B MAU and 6 billion hours of video watched per month accounts for 19% of peak web traffic. Amazon says that Prime video streams have nearly tripled year over year. Instant Video is now the third largest video site overall, behind Netflix and YouTube. Driving some of this growth is the focus on content acquisition. Amazon recently announced they will Stream HBO. Hulu has surpassed 6 million subscribers and has tens of millions of viewers. On desktop alone these viewers spend an average of nearly 50 minutes per session. Ultimately, your iOS device may be a better cable box than Apple TV as Geoffrey Geotz writes. Broadly, mobile video is growing at 400% yoy and is at 20% of all digital views. Note there are significant difficulties with the measurement of mobile viewership. It’s expected to cross 50% of all views by the end of 2016. Across different websites and apps, there is distribution many with many >50% of views on mobile. YouTube announced in Oct 2013 that mobile was > 40% up from 25% in 2012 and 6% in 2011. From their implied growth rates, it is greater than 50% now. Vevo has broadly announced that their mobile traffic is >50% and growing at 200% yoy. Hulu has >50% on devices but this includes Roku, Chromecast and the like. They recently announced a new ad unit on mobile phones and free ad supported viewing of full episodes. Netflix saw a tripling of subscribers watching on an iPad from 5% in 2012 to 15% in 2013 and a doubling on phones from 11% in 2012 to 23% in 2013. Tablet viewing is out pacing smartphone video growth despite slower growth in unit volumes. eMarketer has time spent with video on tablets in 2014 on tablets increasing >50% to 20 min daily, from 13 min in 2013. Versus smartphones growing to 13 min in 2014 from 9 in 2013. > Based on current trends, it’s inevitable that tablets will overtake online video—that is, on desktops and laptops—in the near future as the leading device for watching digital video. The world is coming online. Telco revenues are increasing coming from data plans and digital is increasingly leeching away cable subscriptions. 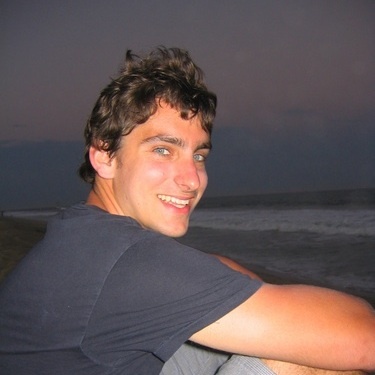 Mobile presents another new frontier for content creators to own a relationship with consumers. Mobile consumption is inevitable. It will be interesting to see if ad supported, subscription, or hybrid new revenue streams emerge as the dominant model.